Dartmouth-Hitchcock Health System is using Microsoft's Cortana Analytics Suite and Microsoft Dynamics to create a new type of healthcare. It will use predictive analytics to focuses on prevention, better care and cutting costs. In the bucolic Upper Connecticut River Valley in New Hampshire an academic medical center is working to rewrite the book on healthcare with the help of predictive analytics, wearable devices and the cloud. "It's important to think about healthcare being on the precipice of what I think of as an industrial revolution," says Dr. Jim Weinstein, president and CEO of Dartmouth-Hitchcock Health System, a nonprofit academic health system that serves a patient population of 1.2 million people in New England. "The current system is not sustainable. It costs too much, is too diffuse and not efficient." The goal is to improve patient outcomes, reduce costs and deliver more personalized care, Dr. Weinstein says. To get there, healthcare providers must implement technology in a more automated, systematic way. "Dartmouth-Hitchcock is hoping to be part of, and in some cases lead, this industrial revolution in health and healthcare where we keep most people healthy and out of the hospital and help sick people get out of the hospital faster," he says. "If you think about any technology, we often take things to the repair shop when something's gone wrong. But today, technology allows us to tell people when we need to get service, when our tires are low. We need to do the same thing for people. There's no reason we can't." To that end, Dartmouth-Hitchcock has brought together a team of experts spanning industries from medicine to retail, entertainment, publishing and hospitality to pilot a new health solution called ImagineCare. Powered by Microsoft's new Cortana Analytics Suite and Microsoft Dynamics, ImagineCare is a coordinated, personalized solution that encompasses physical, mental and emotional health. ImagineCare is fed with data from wearable and home sensors, health assessments and sensing and ongoing health risk assessments. The connected devices include blood pressure cuffs, pulse oximeter devices and activity trackers like Microsoft Band. The collected data is transmitted to the Azure Cloud via smartphone, where it's pulled into a Cortana Analytics Suite dashboard at a contact center. 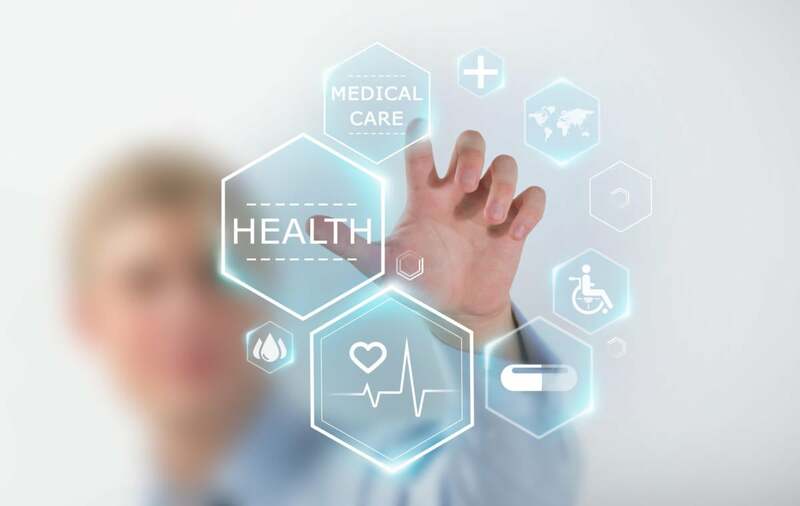 Clinical care is paired with advanced analytics and machine learning to create adaptive protocols that take into account electronic health records (EHRs), claims, environmental, socio-economic and other data sets. At the data center, registered nurses with access to each patient's personalized care plan continually monitor patients' health status and potentially serious trends. If there's a problem, a nurse receives an alert and immediately reaches out to the patient and authorized family members via phone call, video chat or secure text — often before the patient realizes there's a problem. Patients can get reminders to take medicine and measurements, even exercise, via a dashboard. Authorized family members can be looped in with real-time alerts to health or care plan changes. Taken together, Dr. Weinstein says, ImagineCare will improve patient outcomes, reduce costs and provide an unprecedented level of personalized care. "Imagine you get a high blood-pressure reading," says Nathan Larson, director of Remote Medical Sensing at Dartmouth-Hitchcock. "The nurse pops up within seconds, welcomes you by name and helps you understand what it means and what you might need to do next. It amazes people. This level of proactive personal care and customer service really blows the clinical world away. It really feels like someone's got your back." ImagineCare isn't just about physical health either. Cortana Analytics Suite boasts perceptual and intelligence capabilities that allow the system to detect a patient's emotional state. It can perform speech and tone analysis during interactions with ImagineCare nurses, and it can perform sentiment analysis on Twitter feeds and other social media to detect troublesome trends. It rounds this out with a mobile app that invites mood check-ins. Together, Larson says, these features could vastly improve the chances of catching and treating depression early. Dartmouth-Hitchcock's plan is to provide the ImagineCare technology platform to healthcare organizations across the country, helping to prevent people from getting sick in the first place by providing physicians with actionable data that can help them provide personal, optimal care. "Coming to the hospital is not enjoyable for people," Dr. Weinstein says. "If we can keep them out of it, that would be great. We need to create a sustainable health system. I think what's happened with the [Affordable Care Act] is that all the policy work has been to get people insured and covered. Having insurance doesn't mean good healthcare. What about all the people who are healthy that we don't want to be sick. If I was really effective, no one would come to my hospital." Dr. Weinstein believes that ImagineCare will help Dartmouth-Hitchcock build a health system that focuses on health, not healthcare. Such a health system is based on value, not volume, he says. "Imagine a health system grounded in population-based strategies, not market share," he adds. "Imagine a health system that rewards quality, not quantity. Imagine a health system where patients only receive the care they want when they're well-informed." The sustainable part is important too. Dr. Weinstein says that not only will ImagineCare deliver more personalized care and improved patient outcomes, by preventing emergency room visits, unnecessary primary care visits, hospital admissions and readmissions, it will lower the cost of care. Eventually, it could even result in lower patient premiums — a win for patients, employers and insurance companies. Dartmouth-Hitchcock will roll ImagineCare out to 6,000 patients in October and is already lining up health organizations throughout the U.S. to use the technology platform.